Sick of downloading new programs just to talk to your friends? 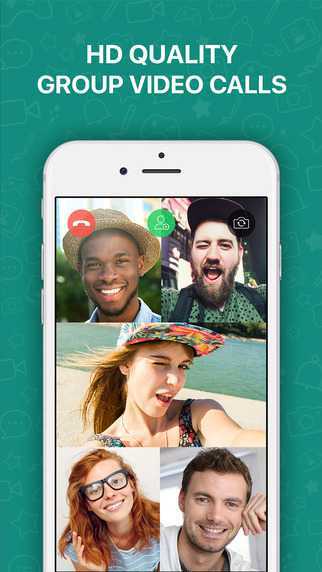 Get group video chatting instantly with Booyah. Booyah is a new app for iOS from the social communication platform Rounds that lets people video chat quickly and easily via WhatsApp. Look, I think we all know at this point that group video chat is pretty busted, right? Like, most of the major platforms make it either difficult or impossible or charge for the right to add another face to your face-to-face convo. I’ll admit that this is probably because the desire for group video chat undoubtedly came about waaaay before it was technologically possible, but guess what, folks? It’s 2016, and it’s definitely possible now. Take, for example, Booyah. It’s a new app from Rounds, which is a fun video chat/hanging out platform that I wrote about last year. Booyah works primarily with WhatsApp — one of the biggest messaging platforms in the world — and connects users instantly for group video chat with one tap. Unlike other group chat apps, Booyah doesn’t have administrators and people join by inviting via link by their friends. This slight shift in how people join means that people can come and go as they please, much like IRL conversations. But don’t worry if you don’t have WhatsApp — Booyah works with other messaging platforms. In fact, it can identify the fact that you don’t have WhatsApp installed and work with what you’ve got. Badass, right? It’s like, the easiest, quickest way to get to group video chat with up to twelve of your friends on iOS — and coming soon for Android.